The fabled Millington (NJ) Kane House (photo by me). Always a cold drink, a hot meal and a place to rest and relax after a long session. It had a built-in pool and tennis court. But on occasion, the placed erupted and rocked with live Raging Lamos concerts, a pig roast or two, visits from the local Police and a sleep over or two. Endless tales of high jinx. Basically, the best place on Earth and ground zero in the mid 1980’s. 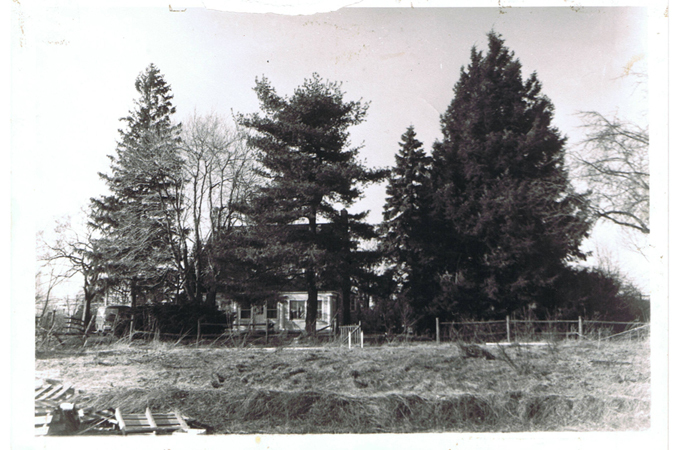 This is oldest know photo of The Barn. I think this taken (by me) in the late 1970’s (’76 -’79) pre-ramp. The Barn (and House) was originally built in the early 1900’s. 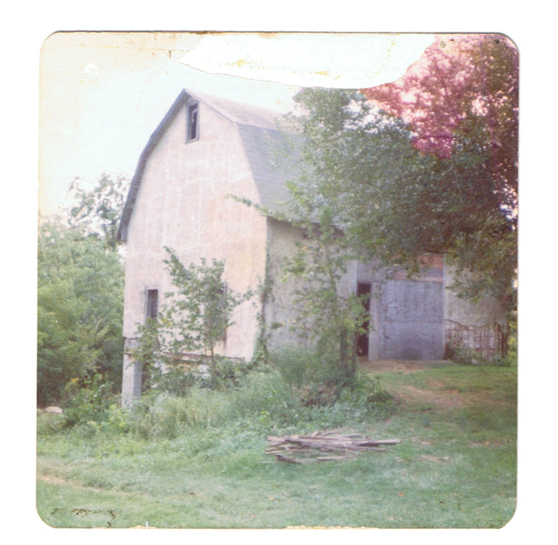 When we moved in (1972), The Barn had been leaning down hill and was threatening to fall over. We had horses, cows and pigs in the stalls underneath. A construction company came in and jacked the whole thing up, leveled it out and rebuilt the foundation. You can see new block in the lower left corner. After that, the structure was solid as a rock. We ate the cows and pigs! The open window (at the top) was eventually covered with plywood to keep the weather out. After we built the ramp (another story), we set up lights, music, a big fan and a folded out couch, tables, etc. The barn had no power, so we ran extension cords from the house a couple hundred yards away (a very, very unsafe wiring set up). It was always fun when someone knocked the plug out of the wall while you were in the middle of a run. Pitch Black! Slam! After we sold the property and the power was shut down, we bashed holes in the roof and walls to let in more light. Eventually, it bull dozed. Gone forever. Until now, that is…. (coming soon)Part two…Building the ramp! Whenever you are ready Dennis are bodies are all limp with breathless anticipation for the rest of the tale. This entry was posted in 1976, Dennis Kane, Jimmy Kane, Photos by Dennis Kane, Raging Lamos, SPOTS:, TEAM STEAM, The Barn, The Barn’s History and tagged ART, backyard ramps, east coast, history of the barn ramp, jason, Jason oliva, jasonoliva, New Jersey, New York City, oliva, paintings, pool Skating, ramp, ride, sk8, sk8t, skate, skate history, skate photography, Skate ramps, skateboarding, skateboarding history, skateboarding photography, skateboards, skatepark, skater, SKATERS, steam, Street Skating, TEAM STEAM, The Barn, The House of Steam, thos, vert, vert ramps, Vert Skating on November 16, 2006 by jasonoliva.